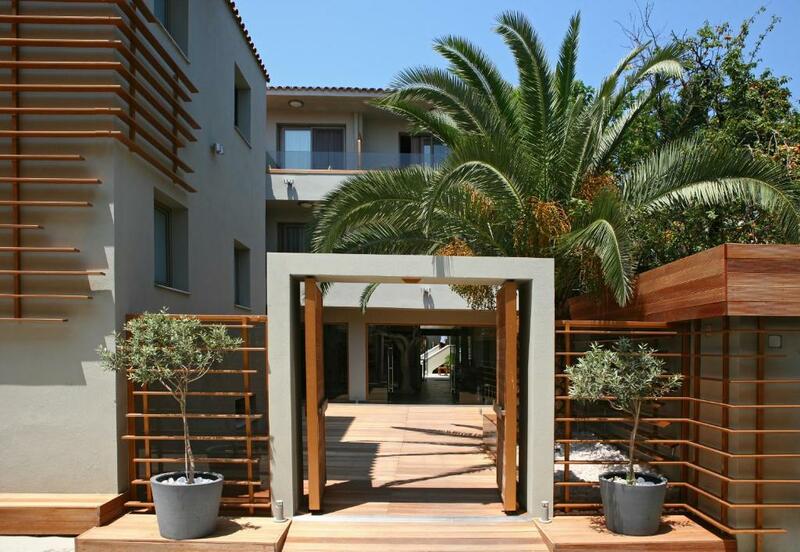 Lock in a great price for Bourtzi Boutique Hotel – rated 9.7 by recent guests! Our first night we didn't like the room. They moved us to a much better room. 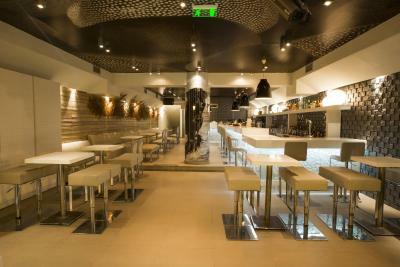 The owner Dimitri, was super polite and accommodating Breakfast as good and wait staff were very nice.. Such a friendly hotel, staff are so helpful, lovely room (wish we had the one next door though with the four poster bed) perfect location right in the centre. Plenty of breakfast- continental, pastries, cereals,fruit and full English. 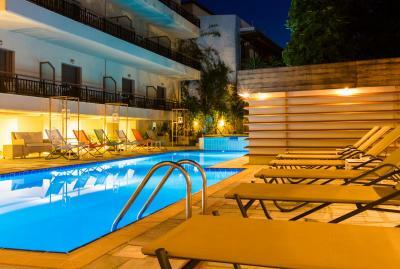 Wonderful staff at the Bourtzi: Dmitris was so helpful about everything to see and do in Skiathos. Just the right amount of info, and well judged, even for medication! Thank you for the wasp sting cream, Dmitri after I got stung on a beach. 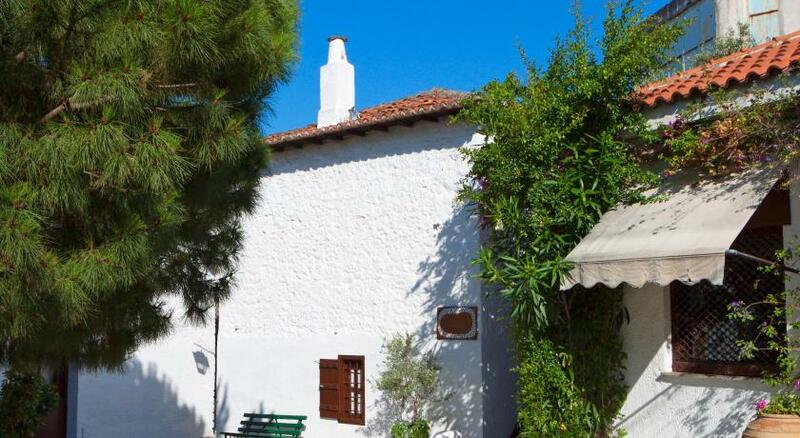 The location, right in the centre of the town, is excellent. The buffet breakfast is lovely. Emily, the waitress, was charming. The hotel provides beach towels for your day out, that you hand in at the end of the day - a great idea. This boutique hotel was the perfect place for our Greek Island holiday. 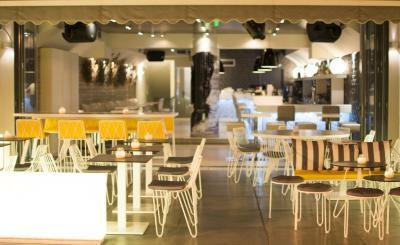 The staff Dimitris and Yiannis exceeded our every expectation, they were so professional and genuinely lovely people! 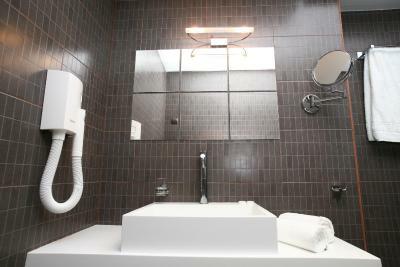 The rooms were immaculately clean and the hotel was beautifully refurbished, comfortable and in a great location. Will definitely be staying again. Everything, it’s a fab hotel. Sorti in the bar was amazing, top location. A very well run B&B. Everything without exception was great. You won’t be disappointed by this choice we will be back. 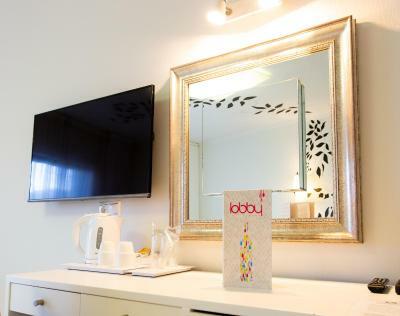 Bourtzi Boutique Hotel This rating is a reflection of how the property compares to the industry standard when it comes to price, facilities and services available. It's based on a self-evaluation by the property. Use this rating to help choose your stay! 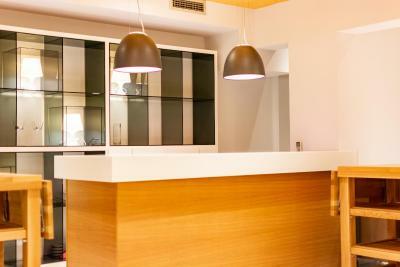 All soundproofed rooms at the Bourtzi Hotel are neatly designed with modern furnishings and stylish bathrooms. Most offer balcony overlooking the pool. Guests can enjoy buffet breakfast served by the poolside. 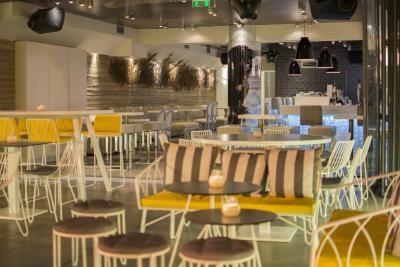 The Bourtzi also features a stylish and trendy cocktail bar located on the main pedestrian road of Skiathos town, which serves a range of drinks and light snacks. 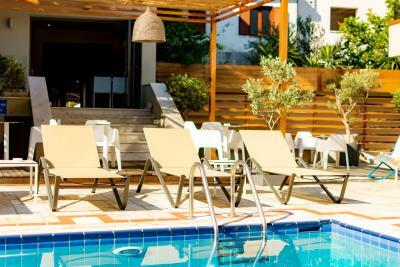 The peaceful Bourtzi Boutique Hotel is just 2 minutes’ walk from the harbor. 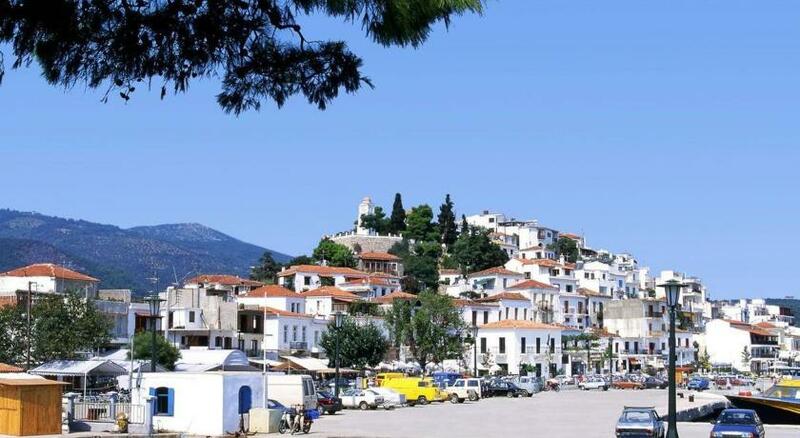 Skiathos’ taverns, bars and shops are also within easy reach. Hotel staff are on hand for information on local restaurants and places to visit. 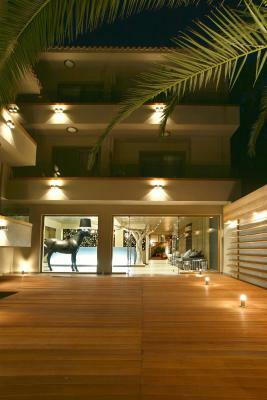 When would you like to stay at Bourtzi Boutique Hotel? Superior rooms offer more space and a balcony overlooking the pool. 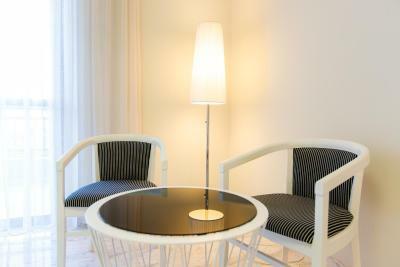 Featuring modern decor with Coco-mat beds, this air-conditioned room offers a balcony and flat-screen TV. 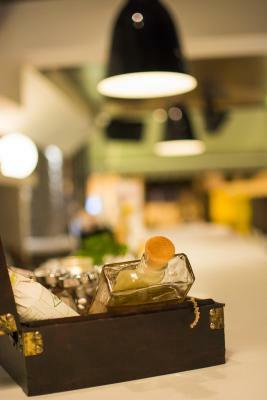 House Rules Bourtzi Boutique Hotel takes special requests – add in the next step! Bourtzi Boutique Hotel accepts these cards and reserves the right to temporarily hold an amount prior to arrival. Perfect location. Friendly staff. Spotless. I liked everything. No complaints. Everything ..fantastic management .. wonderful staff .. fantastic breakfast and very attentive to the guests needs..and very clean..wonderful cleaning staff..fantastic locations ..beautiful room..
Everything about this hotel was perfect. Dimitri was exceptional and informed us about all the beaches, restaurants and excursions. He should be head of tourism for Skiathos. A great stay.